Product prices and availability are accurate as of 2019-04-20 18:01:44 BST and are subject to change. Any price and availability information displayed on http://www.amazon.co.uk/ at the time of purchase will apply to the purchase of this product. 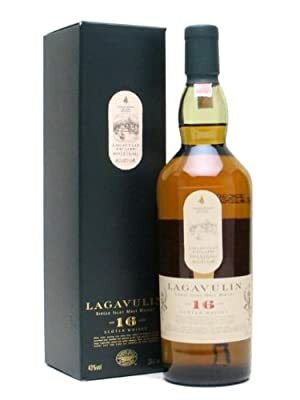 Lagavulin's 16-Year-Old Scotch whisky is a much sought-after single malt with the massive peat-smoke that's typical of southern Islay - but also offering richness and a dryness that turns it into a truly interesting dram. The 16 year old has become a benchmark Islay dram from the Lagavulin distillery.